You don't have to be poolside or at the beach to enjoy this icy tropical drink! This classic cocktail made with rum, coconut cream and pineapple juice; blended or shaken, and garnished with a pineapple wedge, maraschino cherry or both. Don't forget that cute little umbrella. 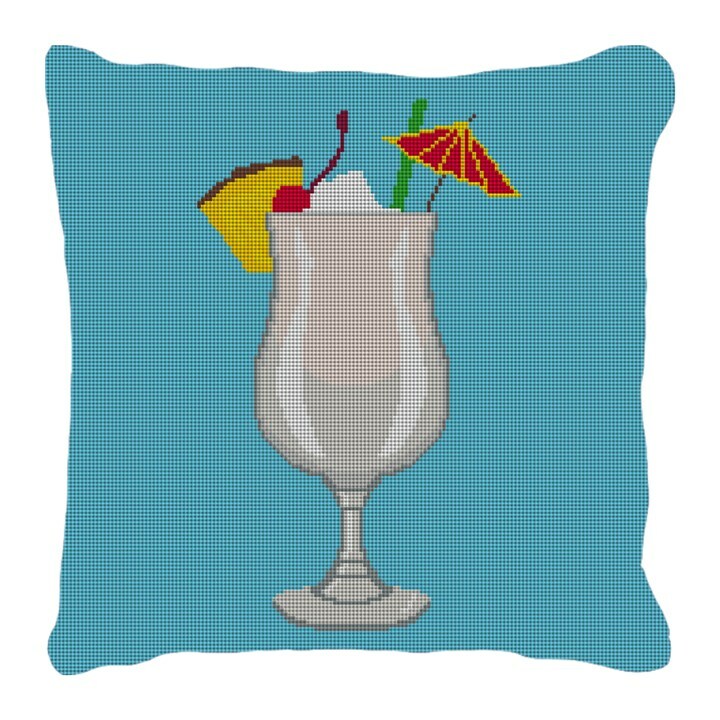 This needlepoint pillow is perfect for adorning your outdoor living space, or adding a splash of refreshing color to your interior.